These mitts are knit in the round in a lovely tweedy yarn. Designed with a "build-as-you-go" thumb gusset, the mitts are both warm and fitted. A simple cable pattern forms the hexagons that cover this mitt. 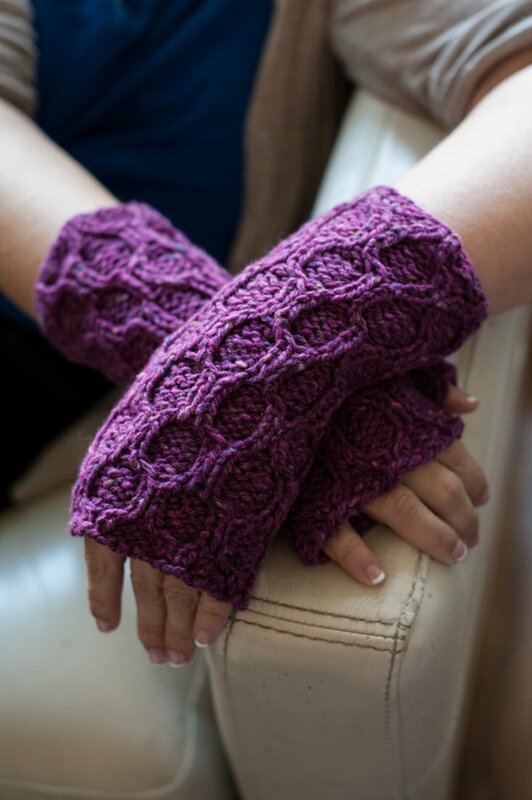 Quick and sturdy, these mitts would make a delightful addition to your wardrobe.